A responsibility she never wanted. Choices she never wanted to make. The beautiful piano sitting in the corner of Jill King's apartment begs to be played. For over a year, it has sat untouched, ever since a terrible accident shattered Jill's ambition of becoming a concert pianist. The ragged scar on her left hand is a cruel and constant reminder of the death of her dream.But another dream is about to come to life -- an unexpected, horrifying dream that will present Jill with a responsibility she never wanted. And choices she never wanted to make. Hundreds of lives depend on Jill's willingness to warn her small, oceanside town in Nova Scotia of a nameless, looming disaster. But doing so could cost Jill her reputation, jeopardize the political career of the man she loves, and ruin their plans for a future together.The fate of an entire community hangs in the balance as Jill wrestles with the cost of heeding one still, small voice. 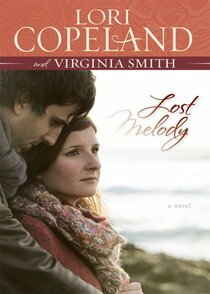 About "Lost Melody (Unabridged, Mp3)"
Lori Copeland, Christian novelist, lives in the beautiful Ozarks with her husband and family. After writing in the secular romance market for 15 years, she now spends her time penning books that edify readers and glorify God. She has been writing for twenty-three years. In 2000, Lori was inducted into the Springfield Writers Hall of Fame. Over three million of her books are in print.